Sail away in Noah's Ark. We've got the perfect Noah's ark toys for every taste and budget. Get ready to set sail in Noah's ark. 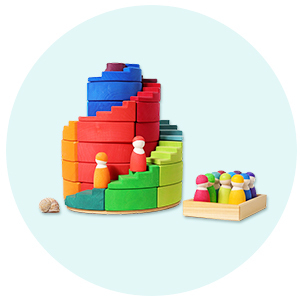 From bright and colourful shape sorter Noah’s Ark toys the stunning Holztiger wooden Noah's Ark. We have the perfect toy ark for every home, age and budget. Children will have hours of fun loading their wooden animals in and out of a beautiful wooden ark. 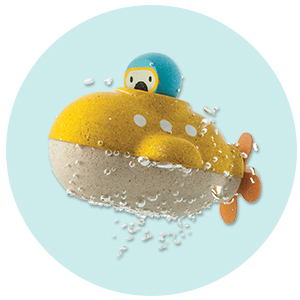 Load the animals two by two before they sail off on an epic adventure around the world. 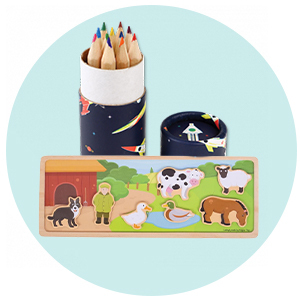 The colourful Big Jigs and Indigo Jamm Noah's Ark Toys both come with animals and people and make a great gift for little ones. 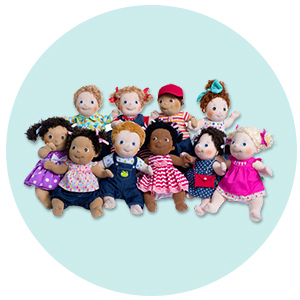 They're a versatile toy that will be loved and played with in lots of different ways. And they’re a great value way of starting a love of wooden animals. 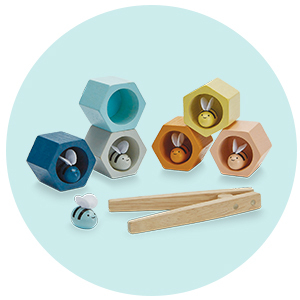 Alternatively, the stunning wooden arks from Holztiger and Ostheimer are beautiful heirloom toys that will be loved and played with by children of all ages. These fantastic wooden ships make the perfect home for your wooden animal collection and can be used for other adventures as well. And there’s even a balancing Noah’s ark game that’s great for developing fine motor skills, hand-eye coordination and problem-solving skills. Take it in turns to roll the die and then balance your animal on the ark. Watch out though, you need patience and dexterity make the animals balance, otherwise, they’ll all come tumbling down and you’ll have to start all over again. For younger children, we love the Big Jigs or Indigo Jamm Noah’s ark toys. There bright colourful arks are perfect for babies and toddlers and the aminals are a great size for little hands. The Indigo Jamm Noah’s ark comes with two little peg people that are interchangeable with the rest of the indigo Jamm range. If you love their other vehicles and toys, which so many people do, then this is a great feature. When Noah and Mrs Noah aren’t sailing away in the ark they can jet off in Flying Felix, take a ride on Bernies Number Bus or stop in for tea and cake at the dolls house. Or you might find that they would like to set up home on the riverbank and start farming, in which case they will definitely need a tractor. The ark also comes with five pairs of animals for your child to march in two by two and a little flip down door so they can be easily loaded into the wooden ark. You get Lions, Giraffes, Zebra, Elephants and Kangaroos which make a great collection for lots of imaginative play and could certainly be used to set up a zoo or safari play scene when they are not being used with the ark. Or maybe the dolls house family fancy keeping elephants as pets in the garden. 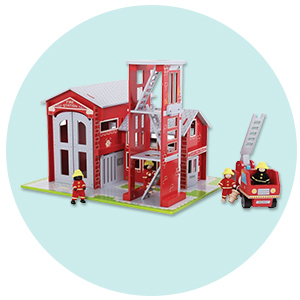 This is a high-quality toy that will withstand years of play and has been safety tested from 12 months so it’s the perfect choice for younger children. We also love the little fish that swim through the ocean at the back of the ark. Similar in size the Big Jigs Noah’s ark is even more brightly coloured and again a great choice for toddlers. Again it comes with Noah and his wife and this time six pairs of animals and a little dove. The animals are painted onto wooden animal shapes and have lovely detail. 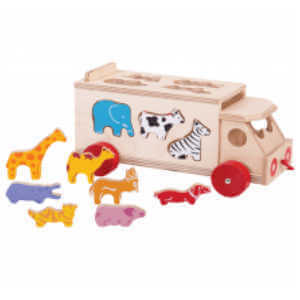 The Big Jigs Noah’s Ark toy also doubles as a shape sorter and children will love spending time finding the correct holes to slot the animals into. Plus, some of the animals have magnets on allowing them to be attached to the side of the boat. This is a great feature that children love and will help them with learning about cause and effect. It also means you can play with them on the fridge as well. We love all the additional features on this ark including the magnets and animal shaped windows, plus the leaping dolphin on one side and the magnetic dove. Like the Indigo Jamm version, there's a drop-down door for the animals to climb safely aboard. 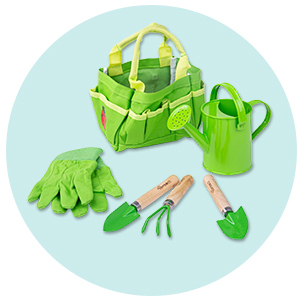 The carrying handle makes a very popular feature as children seem to love carrying their toys around with them almost as much as they love playing with them, especially younger toddlers. And it means this is a great toy for taking away and keeping children amused when you are on holiday or out and about. Without a doubt, the favourite ark with both adults and children is the amazing Holztiger Noah's Ark. This massive wooden ark toy is big enough for a child to sit in (maybe two), which they love to do, and it makes the perfect storage solution for your collection of wooden animals. The deck of the ark lifts off for easy play and you can wheel it around the room. There’s a lovely little drop down set of steps for the animals to climb in and plenty of space in the boathouse for Noah and his family and a few of the smaller animals. Alternatively, Ostheimer offers two different toy arks. One that comes as a complete ark and one that is just the body. 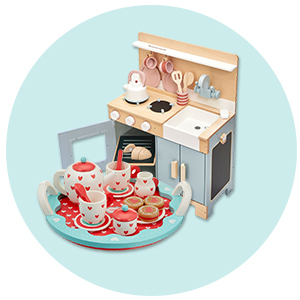 The wooden cabin and top deck are removable from the complete boat and make a wonderful stand-alone piece for imaginative play. You can add a wooden Cabin or ships mast and sail to the boat body meaning it’s not only an ark but a sailboat and a pirate ship. 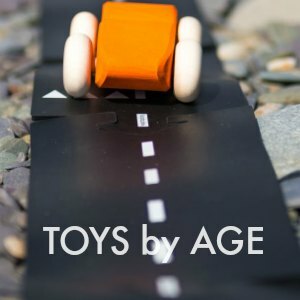 Perfect if you want open-ended toys that can be used in lots of different ways or don’t have space or the budget to want to buy a separate pirate ship. These Ark toys are just the ark so you have to buy the animals separately although we do offer an ark bundle or you can opt for a Holztiger or Ostheimer mystery box to get you started. If you are just getting started with your animal collection these offer great value and take away the difficulty of choosing from seemingly endless possibilities. We are happy for you to ask for pairs of animals if you are filling an ark, and you can let us know if you have started a collection so there are a few animals you already have. These beautiful boats are made to last so you can add to their ark over the years and create a beautiful Noah’s ark toy that will be kept for their children and grandchildren.